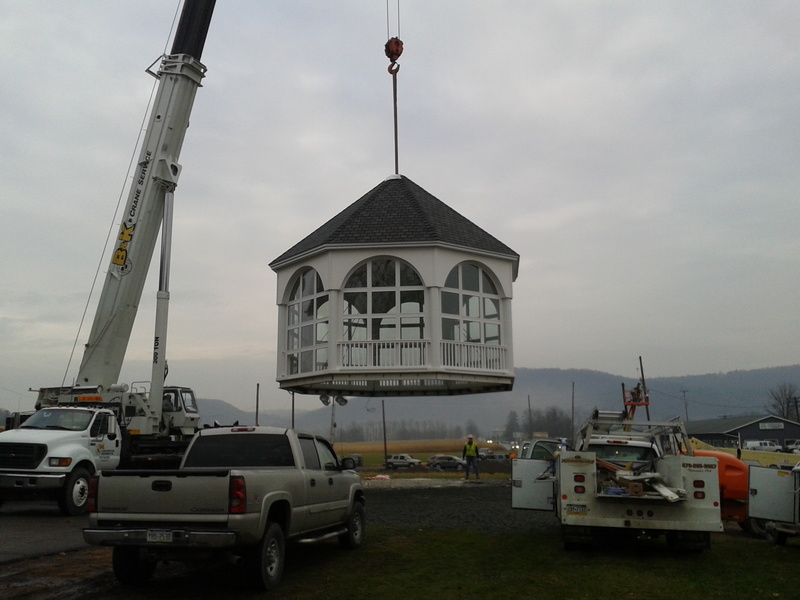 The brand new rotunda, built on the ground next to the Dandy Mini Mart in Wysox Township was carefully moved into place with a crane on Friday morning. It marks the first time that the building has had a dome since the 1970s, when the old one was removed to prevent it from collapsing into the once structurally-compromised building. After more than 40 years, the former Piollet Mansion, which now serves as a Dandy Mini Mart in the village of Wysox, has a dome. 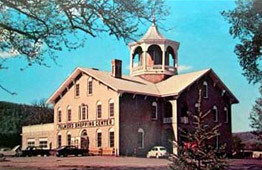 The old one, which dated back to 1873, when Victor Piollet had the building constructed as a family home, was removed in the 1970s when the Fulmer family operated a general store at the site. 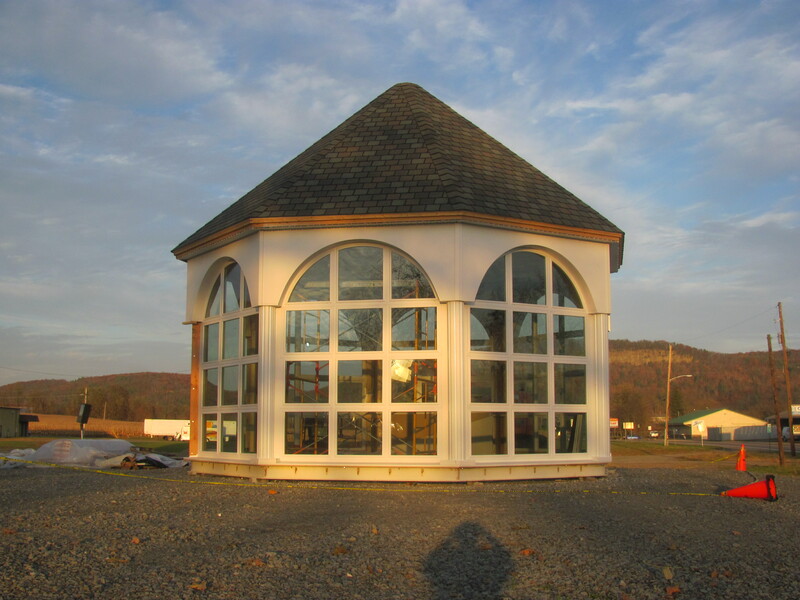 Reportedly, there had been plans to save the old rotunda and restore it as a gazebo in a local park, similar to the manner in which the spire off the long-gone Middendorf Hotel in Wyalusing was preserved in the borough’s park. But the Piollet dome slipped from its hoist about 15 feet above the ground and shattered upon impact. 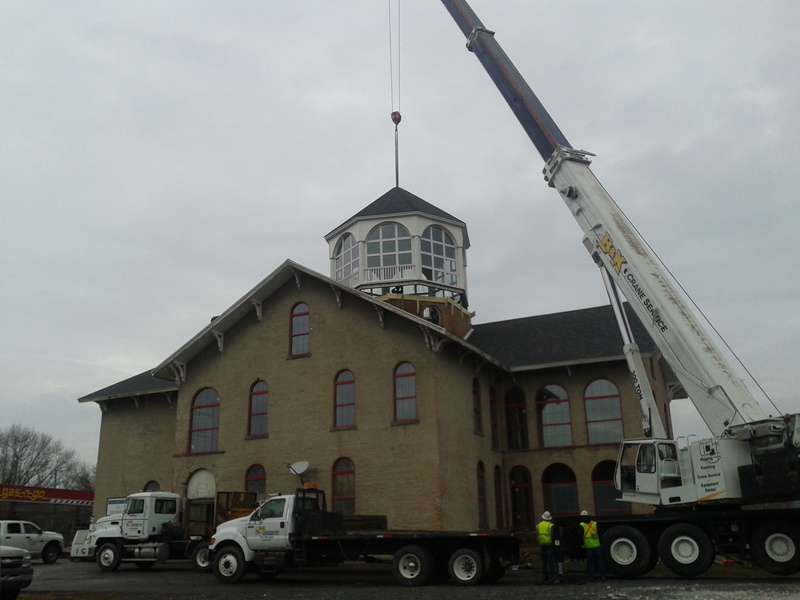 The new 11.5-ton rotunda was constructed on site and took about four months to complete. Larson Design group provided the blueprints, and Middendorf oversaw the construction by D&R Steel while Lee Masonry built the beam base on which the rotunda now sits. Restabilization efforts of the main structure had begun about a year ago when Randy Williams took possession of the property and started its conversion to a Dandy Mini Mart. B&K Crane operators, various engineers, and numerous spectators arrived early on Nov. 22, despite the damp and gloomy weather, for the historic moment. Engineers checked the building for any signs of stress before letting the rest of the weight off the crane at about 10:30. The cables were removed at about 11 a.m., and all involved breathed a sigh of relief. In addition to the aesthetic enhancement to the old mansion from the outside, the dome will also be enjoyable from the inside. One of the final stages of the overall renovation of the building will be the construction of a dining area three stories below the rotunda with a clear view to the top. Rowe related that some people watching the construction of the dome asked if there would be any stained glass in it as in other parts of the building. While there is not, Rowe showed interest in suggestions that colored lighting be utilized from the inside of the rotunda to allow for an evolving visual appeal. Fulmers General Store (left) as most area residents knew it since the 70s and (right) in its heyday from an old post card. Nicely done article. Once in a life time renovation project for us at Middendorf Contracting. Thank you very much.